Xylem President and CEO Patrick Decker is set to deliver a keynote address, highlighting the opportunities to leverage collaboration and technology to advance water and resource security in Asia, at the WaterLinks Forum taking place next week in Manila, Philippines. This year’s event will concentrate on the synergies between water, food and energy, and how focusing on interdependencies within the nexus is critical to addressing the region’s complex water challenges. The keynote address – “The Nexus Paradigm: Integrated Solutions are Key” – will outline how a cross-sectoral perspective that allows diverse stakeholders to cooperate, problem-solve and innovate in new and powerful ways is key to solving water challenges. “Building a secure water future for communities across the world is achievable. The technologies needed to solve global water challenges are not things of future – they are available right now. Huge strides have been made in smart water technology and advanced data analytics that enable more efficient and sustainable water and wastewater management. Hugh Chapman, Regional Director for Xylem in Australia, will also take part in a panel discussion at the WaterLinks Forum on the topic of Operating the Nexus Framework: An Illustration. His contribution will focus on “Analytics and Efficiency: Keys to Water Security”. Xylem’s operations In the Philippines include global water infrastructure analytics support, pump manufacturing and dewatering services. It has facilities in Calamba City and Makati Central Business District, serving customers in the municipal, industrial, commercial building and residential markets. Xylem’s pump rental and service hub in Calamba is a gateway for customers in the region to access the world’s largest rental fleet of 20,000 assets. 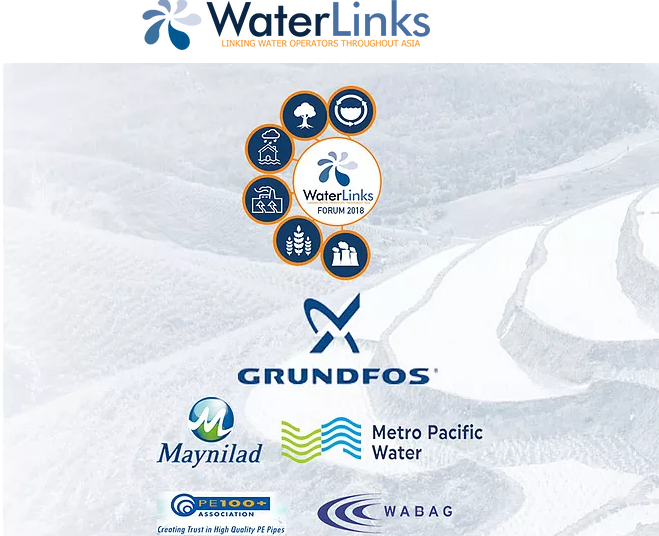 The 7th WaterLinks Forum will be held from 25-27 September 2018 at the Unilab Bayanihan Center, Metro Manila. The forum is designed to provide urban water managers and policy makers with insights on the interdependence of water, food, and energy in an uncertain, but adverse, climate environment. These are expected to form the basis of integrated solutions to the worsening water crisis in urban Asia.